She is getting ready for Minnesota’s cycle cross season at one of the last Thursday night mountain bike events at Buck Hill, near Lakeville, MN. 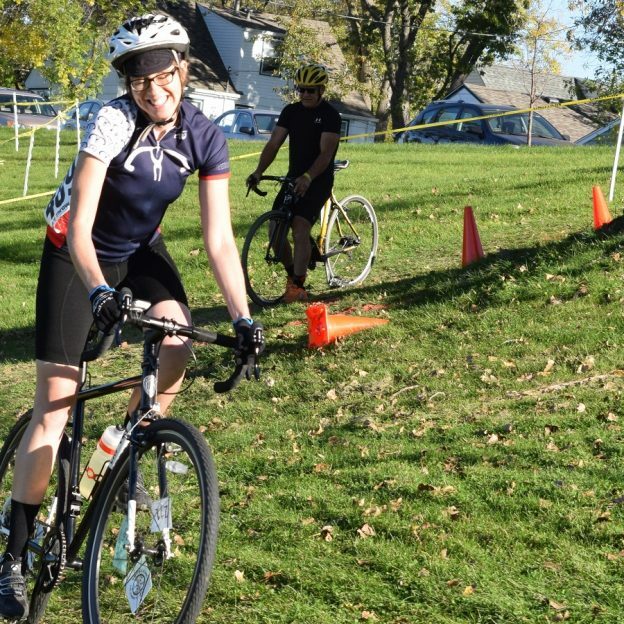 The next MN Cycle Cross Race is at Aquila Park, St. Louis Park, MN. See many more bike friendly places to explore to have your own mountain bike high experience in the new Minnesota Bike/Hike Guide. See many more bike friendly places to explore, in the new Minnesota Bike/Hike Guide. 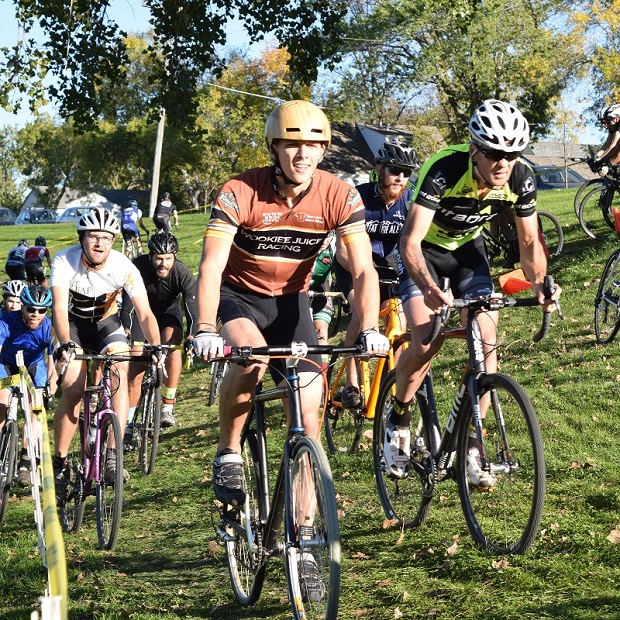 Thanks for viewing the Minnesota’s cycle cross season Bike Pic. This entry was posted in News, Picture of the Day and tagged #nextadventure, #nextbikeadventure, #onlyinMN, Aquila Park, Buck Hill, cyclecross, MN CX, St Louis Park on September 13, 2016 by Russ Lowthian. 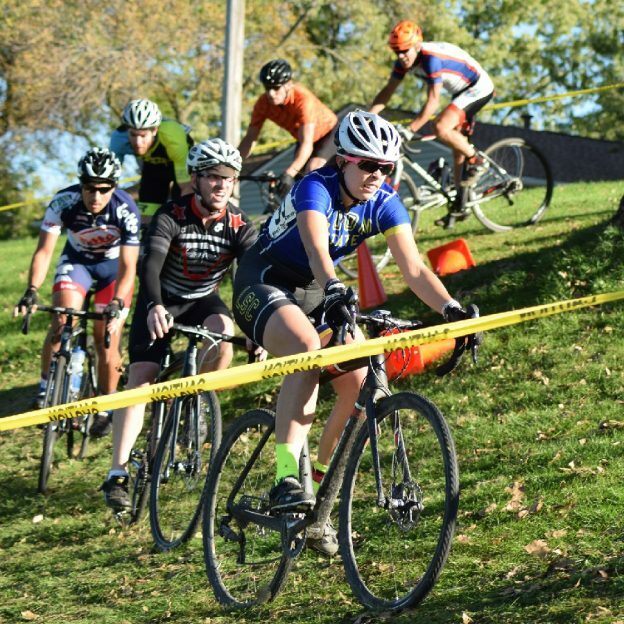 Cyclists from across the Midwest will come to Le Mars, Iowa to pedal a grueling course during the Frosty Cross event, November 28, 29 & 30, 2015. 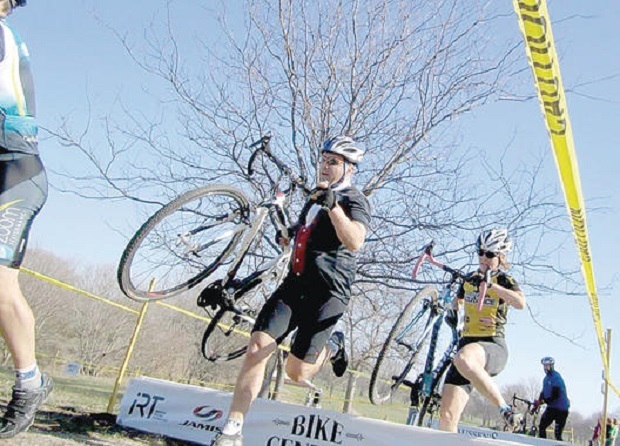 This weekend event is a division of “Cyclocross,” a type of bicycle racing sanctioned by USA Cycling”, said Kevin Richards, owner of Bike Central, which is hosting this fifth annual event. 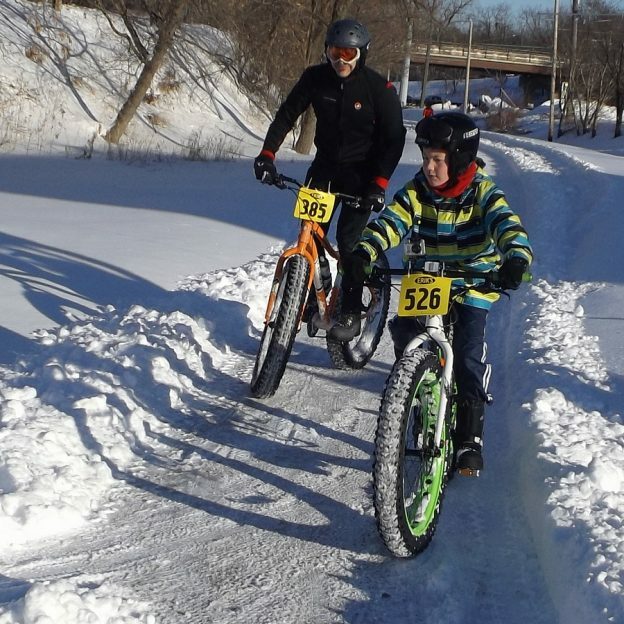 Cyclists from across the Midwest will come to Le Mars for the 5th Annual Frosty Cross event, hosted by Bike Central Cyclists, with riders from age 7 to 70 participating in the Frosty Cross events. This year’s course will be in the Le Mars Municipal Park, SD (Photo contributed). 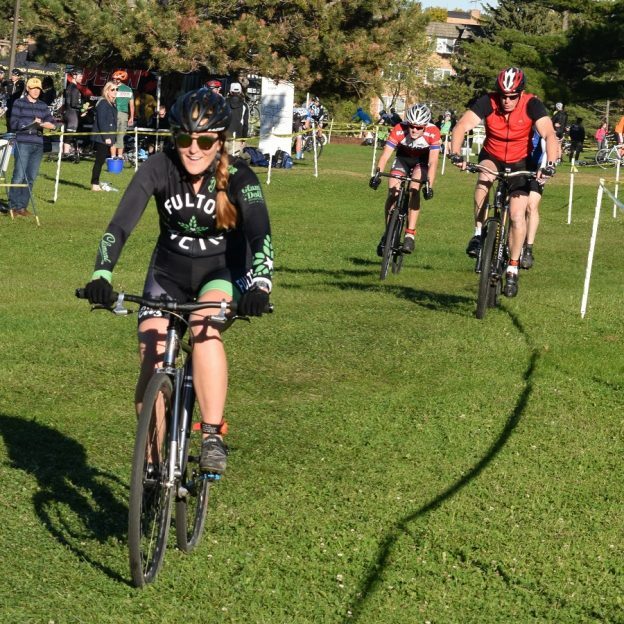 “The sport of cyclocross was started in Belgium in the 1900’s as a way for professional cyclists to maintain physical conditioning in the offseason. With events usually running through the fall to early winter, about September to January”, he said. “Most cyclocross racers get used to riding in inclement weather,” he added. “The races are similar to steeplechase”, Richards said. “Steeplechase is a form of racing in which obstacles are a very important part of the course. The cycling is off-road. There are obstacles that make the cyclists either get off their bike and carry it around or jump their bikes over the barrier”. “It’s a closed circuit course, where you do a certain number of laps depending on the time frame of the laps,” he added. For example, one of the races is an hour long. So, competitors would get as many laps into an hour as they could. “It’s a very entertaining, actually very grueling for the riders, but it’s a real fan friendly type of cycling,” Richards said. “ You can walk the course”. This is the fifth year Frost Cross will be sponsored in this area. The shelter house at the pits in Le Mars Municipal Park will serve as the main area for the weekend long event. Plus, a lot of the teams will bring a tent or a canopy and Richards believes this is a good way to extend the cycling season. “You can cycle all year long. This is one way to put it out there,” Richards said. Richards recommends people attend the event even if they do not know anyone participating, and will not participate themselves. “It’s fun,” he said. Last year about 125 people participated. This year, Richards said, Frosty Cross is expecting many more. “I think we’re going to see a lot more competitors out from central Iowa and eastern Iowa, and I know we have some commitments already from Minneapolis and Wisconsin,” he explained. 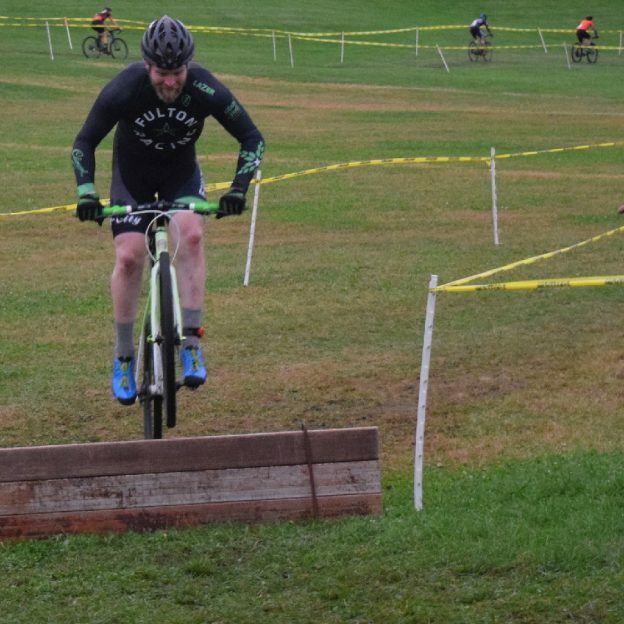 “This is the only cyclocross event on the weekend after Thanksgiving, within a nine-state area,” he continued. On Friday, there will be a fun ride open to non-competitors. There will be some trial runs and some type of a race, which will be relatively non-competitive, Richards said. Last year, names were drawn from a hat and teams cycled a relay. The simple junior cycle development team is going to serve chili that night, he said. On Saturday, the series of races start at 10 a.m. The races will be split into categories based upon competitor’s abilities. There will be about seven races. Participants ages range in age from nine or so years old to above 70. On Sunday, the series of races start at 9 a.m. and there will be another seven races. Since the event is sanctioned by USA Cycling, it is split into divisions based on age. For example, there is a masters division, for those at least forty-years-old. Richards said, “last year several 70-year-old men participated. Also there is a junior division scheduled for the younger riders. Also a collegiate division is set where racers Minnesota, North and South Dakota will compete. Former Frosty Cross events have even drawn world champions and cyclists from Colorado, Nebraska, South Dakota, Minnesota and Missouri. 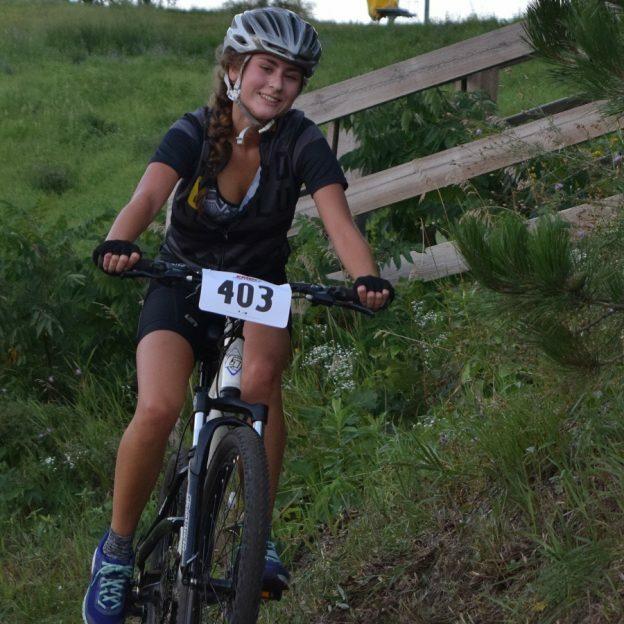 This year’s event has drawn over 30 sponsors, and is partially funded by Le Mars Convention Bureau’s Hotel/Motel Sales Tax Funds, according to information provided by Bike Central. Each year, money collected from the Hotel/Motel Tax Fund is allocated to promote tourism in Le Mars. You can find more information on Frosty Cross here. 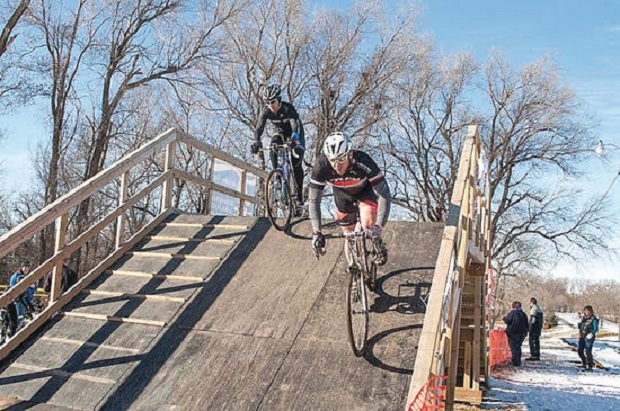 (Photo contributed) Frosty Cross routes have many obstacles for cyclists, including challenges like the one pictured above. 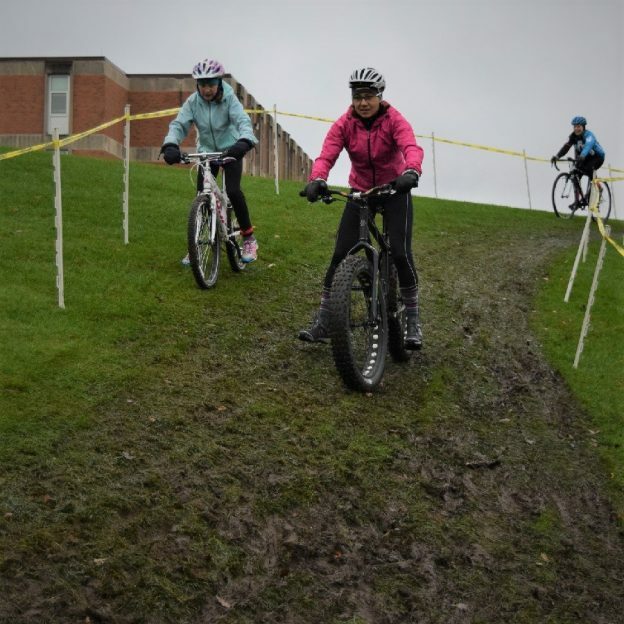 This entry was posted in News and tagged bicycle spectator sport, cyclecross, Midwest cycling, offroad bike racing, offstreet bike racing, steeplechase style racing on November 20, 2015 by Russ Lowthian.